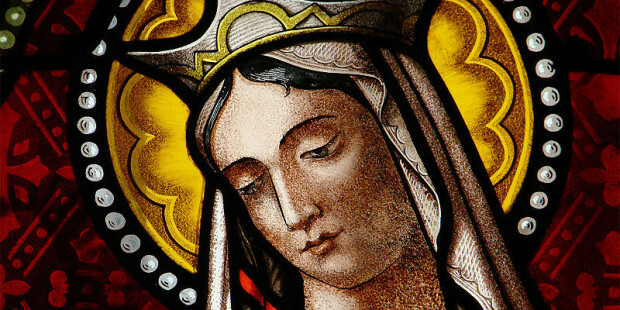 Hail, gentle and loving St. Clotilde, sweet illustrious Queen of the Franks, who by thy faith and perseverance in the Lord didst convert thy husband and made France for many centuries a venerable stalwart of the Catholic faith, I implore thy powerful intercession in this my great need. Assist me, holy St. Clotilde, from thy height of glory in heaven. Thou, who during thy earthly sojourn, didst drink deeply from the Saviour's chalice of sorrows, have pity on my dire distress, especially . . . (Here make your intention). Grant also that through my sorrows I may, like thee, purify my faith and never lose hope in the mercy of God. Amen.